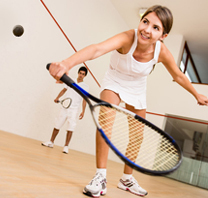 McLean Racquet & Health Club is a locally owned, private club company and we respect your concerns about privacy. This policy is intended to ensure your information is handled in a safe and responsible manner. We encourage you to refer to this policy on an ongoing basis as policies may change as we improve our online communications to stay current with new technology. Currently, we gather information (such as name, e-mail, address, and phone) strictly for contact purposes when members or nonmembers opt to fill out an e-mail submission form to inquire about our company and about membership. In some cases we ask for other optional information including additional contact information. We may use your information to communicate special offers, promotions and information about our company to you via email, phone, or direct mail. If you do not wish to receive these emails you will have the option to opt out of future mailings (see the section below). We will not share your personal email information with third parties, however, we may send you special offers on behalf of related partnerships. We collect email information to provide a more personalized and relevant experience. If you give us your email address on the home page, when you inquire about membership or sign up, we will send you emails about exclusive offers, news at McLean Racquet & Health Club and new services/programs. If you have previously opted out of receiving emails from us, providing updated information will act as an ‘opt back-in’. If you want to opt-out of receiving promotional emails, simply click on the unsubscribe link on the bottom of all of our emails. We strive to update our email list as frequently as possible, but you may receive another contact before we are able to remove you. Please note that you will continue to receive Member Services related communications as it pertains to your account. We may use any of your contact information (including email, address, phone, and fax) to communicate with you in relation to administrative activities, such as club purchases, club closings and important service alerts. We employ other companies and individuals to perform functions on our behalf. Examples include creating and maintaining our Web site, sending postal mail and e-mail, removing repetitive information from customer lists, analyzing data, providing marketing assistance, and providing customer service. They have access to personal information needed to perform their functions, but may not use it for other purposes. You can set your Internet browser (like Internet Explorer or Safari) to warn you every time a cookie is sent, or to turn off all cookies. See your browser’s Help menu for these instructions. By disabling your cookies, you will not have access to some of the features that enhance your user experience on our site. While this site may contain links to other sites, please note that when you click on one of these links, you are ‘clicking’ away from our site to another Web site. We encourage you to read the privacy statements of these linked sites as their privacy policies may differ from ours. We are not responsible for the privacy practices or the content of such Web sites. How can you contact McLean Racquet & Health Club?